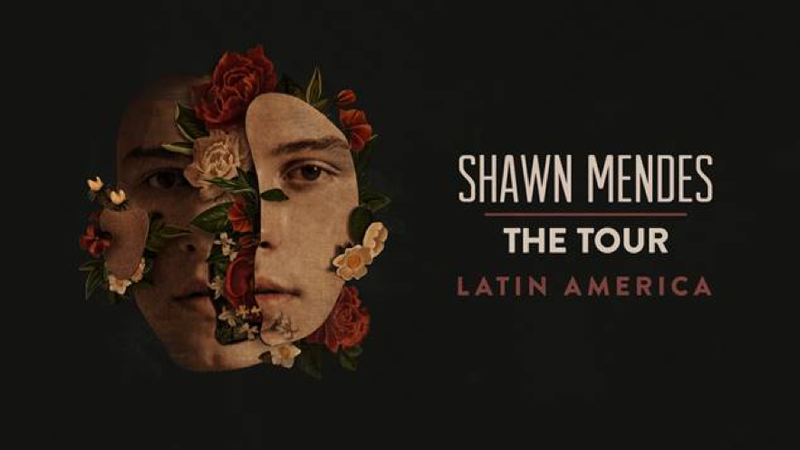 16 January 2019 (Toronto, ON) – GRAMMY nominated, multi-platinum singer/songwriter Shawn Mendes is adding to his already announced arena and stadium tour in support of his self-titled album by announcing seven new dates in Latin America. On this leg, Shawn will hit Mexico, Argentina, Brazil, Chile and Peru. These dates follow the announcement of Shawn’s sold-out Rogers Centre show in his hometown of Toronto. “Shawn Mendes: The Tour” will mark his third global headline tour, kicking off on March 7, 2019 in Europe and running through the Fall with over 70 dates spanning across North, Central and South America, Europe, the UK and Australia & New Zealand, with more dates to be announced. For pre-sale info, including how to access the ShawnAccess Fan Presale window, head to ShawnAccess.com or the ShawnAccess app. Once you've downloaded the app, you can get a presale code simply by clicking your tour date and copying the code. The ShawnAccess Fan Presale for the Latin American leg of the tour begins on Monday, January 28th starting at 10:00 AM local time (start times vary by country; check local listings). The ShawnAccess Fan Presale is the first chance to get presale tickets to the tour ahead of the public onsale. Ticketless VIP Upgrades will be available one week after tickets go on sale to the general public. All Ticketless VIP Upgrades will come with a Shawn Mendes Tour Passport, and additional Passports can be added to your cart at checkout, if you wish. Preferred Payment Partner Presales will begin Monday, January 28th through Wednesday, January 30th, (start times and dates vary by country; please check local listings). General onsale starts on Friday, February 1st at 10:00 AM local time. In April 2017, Shawn released his 3x Platinum hit “There’s Nothing Holdin’ Me Back.” The track scored Shawn his second #1 single at Top 40 radio and on Billboard’s Pop Songs chart, joining his 7x Platinum single “Stitches.” Throughout his career, Shawn has achieved 3 consecutive #1 album debuts, 2 platinum albums, and 8 consecutive platinum and multi-platinum singles. Worldwide, he has sold over 15 million albums, 100 million singles, and has amassed over 20 billion song streams and 5 billion YouTube views. Shawn has completed two sold-out world tours with over one million tickets sold, selling out legendary stadiums and arenas including NYC’s Madison Square Garden and London’s O2 Arena in minutes. On his upcoming tour, Shawn Mendes: The Tour, he sold out his first ever stadium show in minutes at Rogers Centre in his hometown of Toronto. The tour begins in March 2019, with over 70 dates currently announced across the UK, Europe, North America, Latin America and Australia/New Zealand, with more to be announced soon. He topped Billboard’s “21 Under 21” in 2017 and 2018 and has been featured on Forbes “30 Under 30,” Spotify’s “25 Under 25,” and Time Magazine’s “Time 100 Most Influential”. In February 2018, ROI Influencer Media recognized Shawn as the #1 Most Influential Artist and #1 Most Influential Teen across all social media platforms.